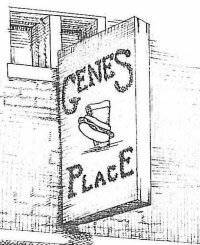 Gene's is a great low-key spot for a beer and snack in a quiet, residential section of Morgantown. It's generally a locals bar, but students (and professors) filter in quite a bit too. The beer selection is pretty simple, so if you're looking for obscure craft beers (or wine, or liquor) go elsewhere. Gene's is easily one of the best spots around for a bit of relaxation and convo.